I have been traveling so much recently that I really have had to stay organized to get through all the hectics weekends. One way I stay organized in my bag is with my Truffle. Only the best throw-and-go bag ever! I throw everything in my bag and with that little habit quite a few things everything gets lost. 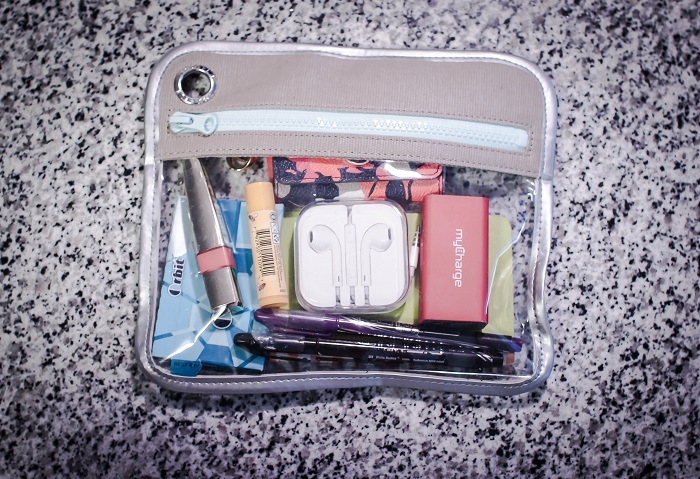 I snagged the Small Clarity Pouch bag to try and get my life a little but more organized and I can say that it has helped greatly. 1. Bobby pins. These are number 1 for a reason because I never leave the house without them & I can never seem to find them in times of need. Instead of living at the bottom of my bag now, my truffle ensures that they much easier to locate in a time of need. 2. Portable phone charger. Ask any of my friends, I am obsessive with ensuring that I have a fully charged phone so I always carry a backup battery with me. 3. Burt's Bees. I only buy Burt's because it is seriously so the best chapstick in my opinion. 5. Notebook & markers. I keep a little notebook and pens so I am able to write down any outfit/blog/random thoughts that pop into my brain. 6. Business cards (& card case) I design my own cards on Moo.com and always carry them in a case to hand out whenever I can. 8. Gum. I mean you always need fresh breath. On onetruffle.com they have a ton of different sizes both in clear (TSA approved!) & and solid material options. I love my Truffle so much I wanted to give one of you guys one too! The contest will end next Monday night & I will announce the winner on my blog post next Tuesday. No go on and enter below!!! this post is in no way sponsored or affiliated with Truffle or onetruffle.com and all reviews & feelings are my own. I also have a lot of random stuff in my bag and definitely need to organize them haha. 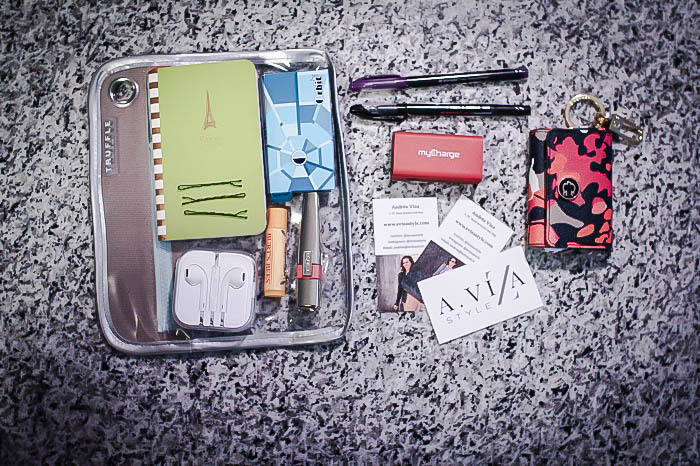 The truffle looks great and would be perfect for carry on traveling! Love these!! Such a great way to keep organized (something I desperately need!) XO! Your gif is making me so happy.